Here at White Ware UK we take pride in our excellent customer service and we are committed to providing value for money, superior products and impeccable service. We can also assist you in organising any decorating, banding or gilding of your ware creating that desired unique look. White Ware UK pack and despatch goods with in 1-3 working days if in stock. 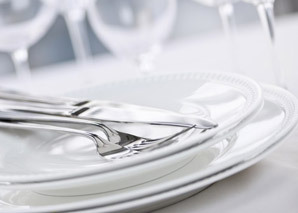 White Ware UK sell direct to the Public, Trade, Wholesale, Retailers, Caterers and Schools.